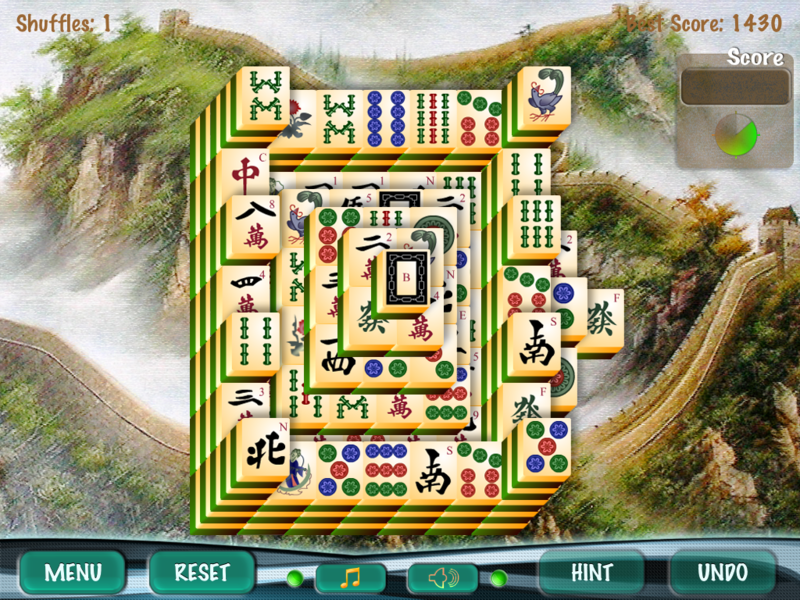 Mahjong is the name of two diﬀerent tile-based games that share nothing but the tileset and the name with each other. 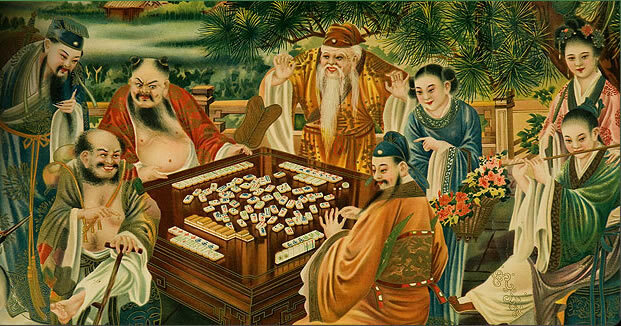 One of the games is a two-to-four-player game, which according to one myth was developed by Confucius in 500 BC. 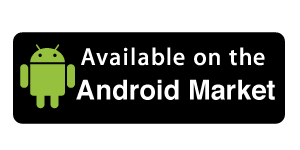 The other, the subject of this paper, is a single-player game created by Brodie Lockard from 1981 onwards. In 1986, the game gained popularity when it was released by Activision under the trademarked name Shanghai, also programmed by Lockard. 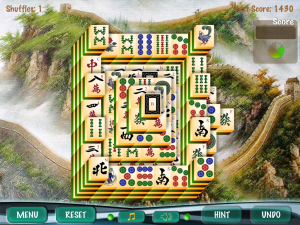 From then on, literally hundreds of versions of the game were written, under names such as Mahjong, Mahjong Solitaire, or “the Turtle Game”. 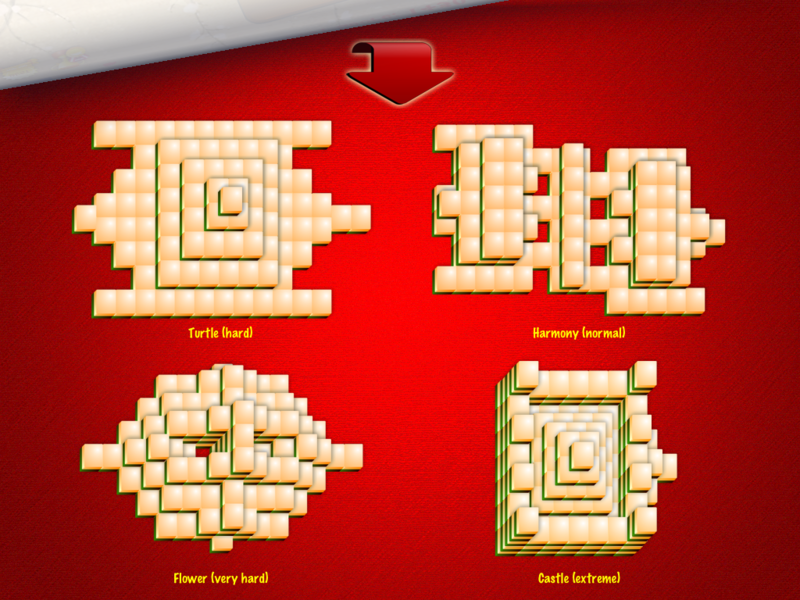 A Mahjong position initially consists of a pile of 144 stones. The goal of the game is to remove all stones. In the context of this paper, a solved position is one where all stones are removed. Each of the 144 stones in the game has a face. There are 36 distinct faces. Per face, there are four stones with that face. Stones have to be removed in matching pairs. 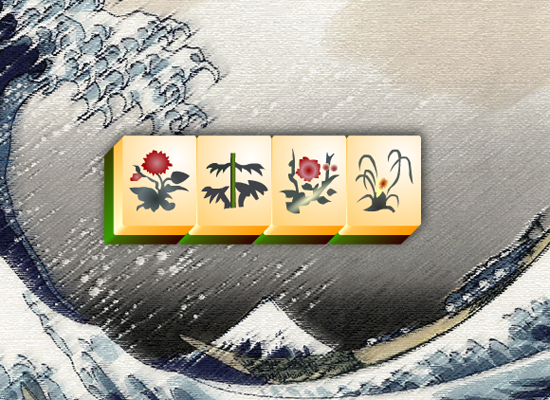 Flower tiles and Season tiles are bonus. Flowers are plum, orchid, chrysanthemum and bamboo. Winter, Summer, Autumn and Spring decorated with pictures that may bear resemblance to the season. When matching pairs, Seasons and Flowers are the only suits you do not need to match. Any Season or Flower combination counts as a pair because there is only one of each tile. 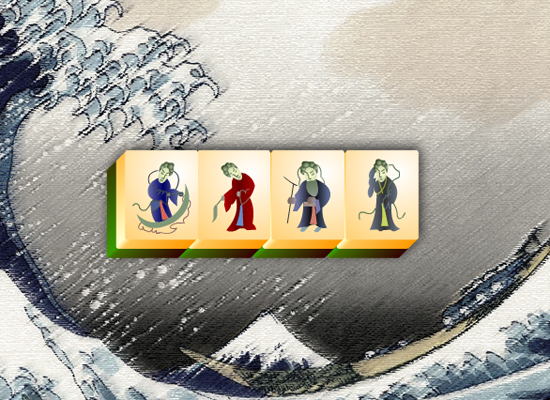 A Mahjong position is a pile of stones, all face up. For some stones, the face is obscured by other stones above. A stone can be removed when it is possible to “slide it” to the left (west) or right (east), with no stone (partially) covering it. A stone can not be removed when it is touched by other stones on the left and on the right, even when it is not touched in the north or south. A stone can also not be removed when there is a stone exactly or partially on top of it. A stone that can be removed is called a free stone. 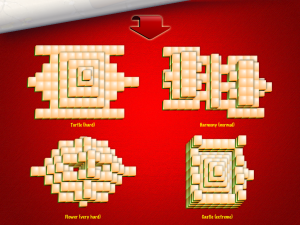 These gradual improvements that nominally were concluded between 1910 and 1920, produced a game of mathematical beauty as well as being physically aesthetic. Certain authors wax lyrical for a great many pages about the mystic and harmonious background to this process and the result. Suffice to say that numerous aficionados of the game regard the variety of Mah Jong of 1920 as the “perfect” Mah Jong and look upon all future modifications and evolutions with great disdain. 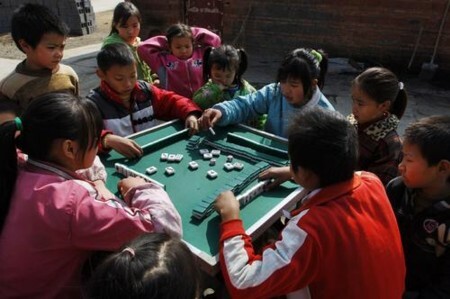 In fact, at this time, the Chinese played a ream of variations in rules and procedures according to the locale and the seriousness of the game, and so there was nothing clear-cut about the Chinese game of the 1920s which was as unregulated then as it is now. However, the game had come about with a natural regard for playability and elegance.